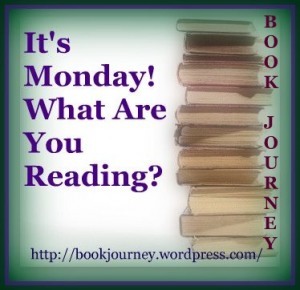 Hosted by Book Journey, this meme is a great way to plan out your week of reading. ...went to my local library's annual used book sale, whoo hoo! <~~Check out the list of books I found! ...posted some fun and informative Lit Bits <~~Learn more! I'm currently in the middle of reading The Sandcastle Girls by Chris Bohjalian. It takes place in Turkey during WWI. I didn't know much about the events that took place there at that time in history and I'm really connecting with this book. How far would you go for the best friend who broke your heart? This internationally bestselling novel tells an enchanting tale of life’s most unpredictable loves and heartaches, and the unforgettable bond between a single woman and an extraordinary five-year-old girl. We prefer not to talk about it, but we should—even those of us who take care of our business in pristine, sanitary conditions. Disease spread by waste kills more people worldwide every year than any other single cause of death. Even in America, nearly two million people have no access to an indoor toilet. Yet the subject remains unmentionable. Moving from the underground sewers of Paris, London, and New York (an infrastructure disaster waiting to happen) to an Indian slum where ten toilets are shared by 60,000 people, The Big Necessity breaks the silence, revealing everything that matters about how people do—and don’t—deal with their own waste. Your upcoming reads look really interesting - especially The Big Necessity. And I'm so with you on Miss Peregrine - I liked it, but had some problems with it too. Thanks for stopping by Tanya :) I'm really looking forward to The Big Necessity! The Big Necessity looks interesting. My favorite book last week was Wyrd Sisters by Terry Pratchett. Please come see what else I'm reading. The Big Necessity looks like it could be fascinating, if a little gross! Ha, I know what you mean! Not the most palatable subject matter ;) I'm looking forward to it though! I often say that I am really interesting in understanding how the world works. I like to get down to the important inner workings. 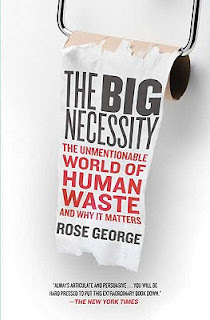 In terms of world infrastructure, use of water, social and engineering problems, etc, The Big Necessity seems like an odd bit important read. Please let us know how the book goes! I'm with you Brian, I love to know how things work. I'm really looking forward to that book and I'll definitely let you know what I think of it. Thanks for stopping by often, I really appreciate it! Your poop book sounds somewhat interesting. I hope you don't read while you eat though! I'll look forward to your on The Sandcastle Girls. Don't you just love reading a historical fiction novel and it actually teaches you stuff??? There have been quite a few like that lately and its been wonderful. "Winter Garden" by Kristin Hannah deals with the Soviet Union during WWII and I had no idea of what all had happened there. Sure you knew it was bad but not that bad. I keep hearing about Winter Garden...I think it needs to go on my tbr pile. I've got The Sandcastle Girls on audio, glad to know you are enjoying it. The Big Necessity book is intriguing. Look forward to your thoughts. Thanks Nise :) I just finished The Sandcastle Girls this evening. I loved most of it! ALL your books look good. The Big Necessity caught my interest. Enjoy your reading week! Thanks Laura and thanks for stopping by :) I'm looking forward to this week of reading..good stuff! I enjoyed the Dorothy Koomson book...hope you do, too. Thanks for visiting my blog. What an interesting variety of books. Miss Peregrine's is on my TBR mountain somewhere. Looks like a story I need to be in the right mood for. Happy reading! I hope you enjoy it Kathy, I mostly did :) Thanks a lot for stopping by! I want to read The Sandcastle Girls sometime too. The Sandcastle Girls sounds interesting. Looking forward to hearing what you think of it when you finish it. Looking forward to the Sandcastle Girls too.Enjoy all your books! Thanks! I will certainly try :) Same to you as always! I only read a ghostly book by Bohjalian which I enjoyed very much. This new one... I'm not really interested in the topic, but it sounds like you find it fascinating. I probably will try it some time. Hi Christy, thanks a million for following, I appreciate that more than you know! Our library is getting Visit Sunny Chernobyl and I was considering if I'd like to read it. Glad to hear you enjoyed it (even if it is a depressing subject). Looks like a good week of reading ahead of you! I am still waiting for my reserve copy of Sandcastle Girl from the library. Looks like you have a good week of reading. Thanks for stopping by my blog! Happy reading! Some interesting reads this week! Thank you for stopping by Between the Bind! I've heard great things abou THE SANDCASTLE GIRLS. I hope you enjoyed it! The poop book sounds absolutely fascinating, even if it is about a topic that makes most people somewhat squeamish. I'll be curious what you think about it! I have Miss Peregrine in my shelf for the longest time but haven't gotten around to reading it yet. I mentioned in one of my comments in another blogger's page, that a children's lit conference in Boston this year had several panels devoted to just this book while I was in Simmons College two months ago. Does look like a riveting read. I hope I get to it within the year. Thank you Mardel :) Thanks again for stopping by and visiting me here! I like to read while I eat lunch...not THIS book, lol. It's fascinating though!! You'll get to them eventually ;) Hopefully!! When you do, I'd love to hear what you think of them! Wow, just browsing through the posts on your blog, and I'm so happy to find another library lover! (I library hop for fun!) Anyway, thanks for being such an advocate of libraries! It is my pleasure :) I could go on for days about the wonders of our public libraries! I'm glad I have a forum for it now, my friends and family were getting tired of my lectures, lol. Thanks for stopping by! Love the sound of Sandcastle Girls! It was a darn fine book and I'm very glad I read it!